I'm so pleased that Miming in French is available at two of my favorite French booksellers: Shakespeare and Company in Paris and Book in Bar in Aix-en-Provence! 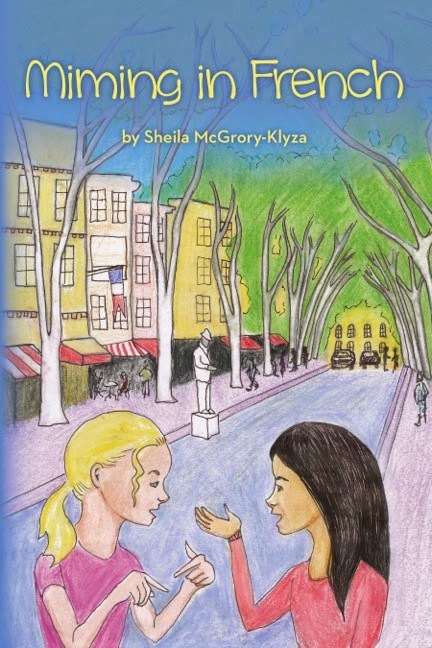 Click below to Purchase Miming in French in paperback or eBook. Available at The Flying Pig Bookstore (Shelburne), Phoenix Books (Burlington and Essex), Crow Bookshop (Burlington), The Vermont Bookshop (Middlebury), The Galaxy Bookshop (Hardwick), Bear Pond Books (Montpelier), Norwich Bookstore (Norwich) and others. Contact Me--I'd love to hear from you! 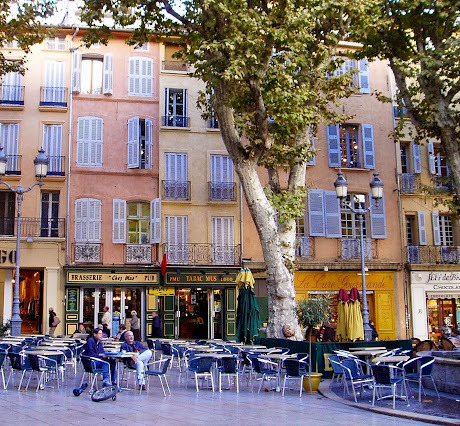 Cafe in Aix-en-Provence, France, where Miming in French takes place. The infamous graffiti of Aix-en-Provence. Copyright © 2017 Sheila McGrory-Klyza. Watermark theme. Powered by Blogger.